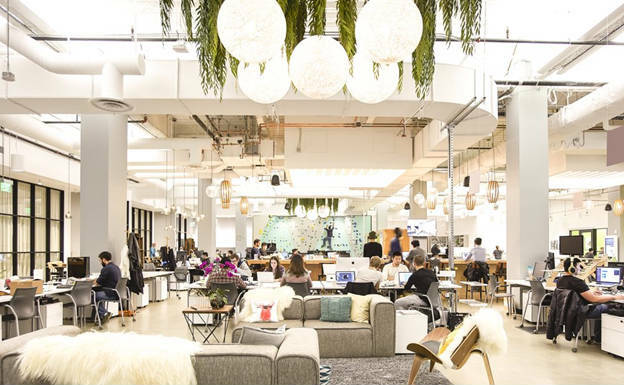 When it comes to workplace environments, coworking spaces are the latest fashion to win over entire Bay Area, with San Francisco as a hub of this trend. Considering the premium prices one needs to contend with if seeking to buy or rent a regular office space, shared coworking spaces emerged as a healthy and financially viable alternative for a wide range of professionals. These comprise a rather motley crew, ranging from startups and tech specialists from the IT-obsessed Bay Area and San Francisco itself, to various self-described freelancers, digital nomads, travelers and commuters. They have about 50 coworking facilities at their disposal, all of them offering varied membership plans, amenities and prices. Let’s look at the most attractive ones, while bearing in mind that you’ll hardly go wrong with any of them. 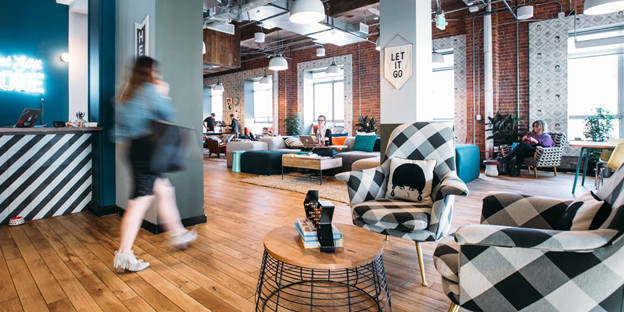 While often being branded Starbucks among the coworking spaces providers, WeWork is truly dedicated to making each of its locations radiate a highly individualized charm, while retaining some of the common features the customers have grown to expect from a WeWork facility. 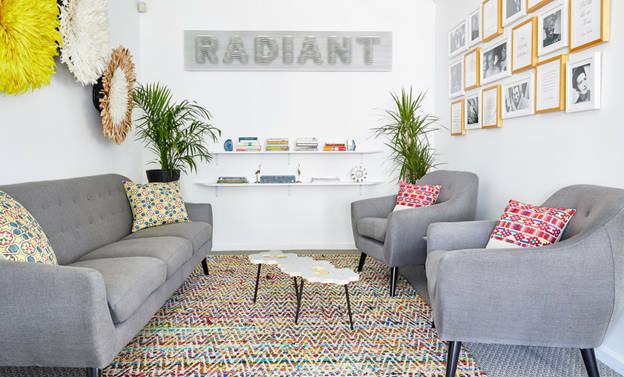 In San Francisco, it offers access to clean and easily navigable workspaces, private phone booths and meeting rooms, audio-video equipment, shared kitchen and the lounge serving coffee and tea. For more adventurous among the users, beer on tap is available during happy hours. Dedicated Desk is charged $500-$675/month per person. This workspace is dedicated to the promotion of collaboration among female businessmen and creative personas, which, in addition to work, makes it an ideal place for networking events of all types. In any case, these will take place in an intimately designed, modern and quiet environment that wants to serve as space which nurtures women’s creativity and cooperation. Dedicated Desk $450/month. Bespoke is a coworking space focused on retail/fashion/beauty sectors as well as startups emerging from them. It offers access to all modern day amenities one could expect from a shared workspace (including the provision of snacks and coffee), with the special mention for its dedicated spaces for napping and rest, as well as for brainstorming sessions among community members. Attractive design is not limited to the shared workspace itself, as it offers access to spacious enough conference rooms and premises designed for events. Dedicated Desk $625/month. SHARED is all about creativity, as reflected by its ambition to go beyond being used as a mere coworking space with meeting rooms, shared kitchen, event spaces etc. Believing in the power of collaboration in stimulating creativity, SHARED gives you access to dedicated painting and sewing spaces as well as to a shared tool shed with which you can hope to nurture both your inner artist and an entrepreneur. Dedicated Desk $425/month.